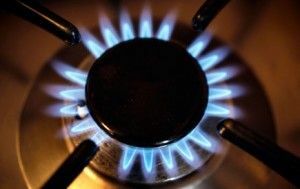 Do you have a gas boiler in your Southampton home? If your boiler is over 15 years old, there is a high chance that your boiler will be only 50% effective and will be causing higher bills for your property. If you want to improve the efficiency of your boiler and cut down bills, a new gas boiler may be the right solution. COMBI-NATION provides the best range of gas boilers Southampton has seen as well as boiler repair services. Renowned for being a trustworthy gas boiler, combination boilers are one of the most popular types of gas boilers on the market. Combination boilers are compact and can be slotted into a range of cupboard spaces. A main benefit of combination boilers is that they provide hot water on demand when you want and are one of the most economical boilers on the market. Find out how our combination boilers will benefit your property. If you want to cut down costs on your fuel bills, a condensing boiler is an investment that you should consider in spite of the slightly expensive set-up costs. Our team have installed a range of condensing boilers in many Southampton homes and will consider the placement of the boiler/flue to ensure maximum efficiency. Read here for more information about our condensing boilers. Boilers are used on a regular basis in most households, but many homeowners do not ensure their boilers are serviced on a regular basis. If you ignore servicing your boiler, there is a high chance of your boiler failing in the future or higher utility bills for your household. Our trained engineers have years of experience in the industry, and will conduct a complete inspection of your boiler. We will also carry out detailed tests to ensure your boiler is running at optimum level. Discover more about our boiler servicing here. Over time, sludge will build up in your boiler systems and will have an impact on the efficiency of your gas boiler in Southampton. To combat the problems that may affect your Southampton gas boilers, we provide a power flushing service that will clear your boiler and improve it working order. Find out more about power flushing here. For the best Southampton gas boilers, contact us today on 023 8077 5666 or 07901 981090.